We wouldn’t leave out our graphic novel fans! In fact, the lot is so huge, we needed a whole other post just for this genre. 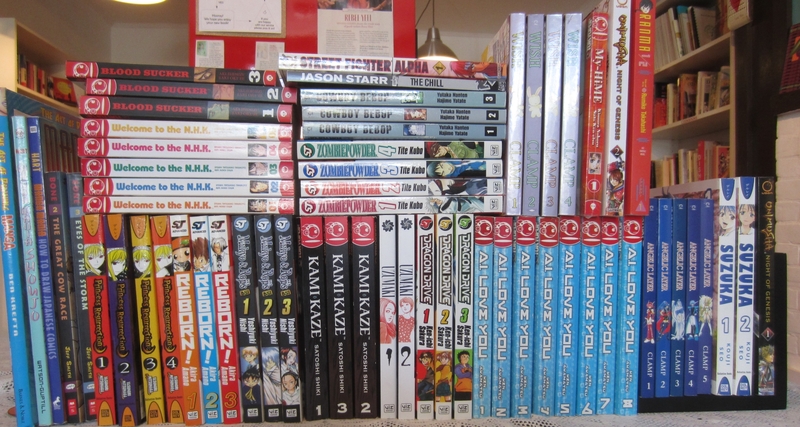 We’re always adding to our collection of graphic novels/manga, and from the looks of the bookshelf, we’re already running out of space to hold them all. About to be priced and squeezed onto the shelf are some of these series: Bloodsucker, Princess Resurrection, Cowboy Bebop, Wish, Angelic Layer, as well as many more. Over sixty books to add to the ever-growing collection! And remember, sharing is caring, so be sure to Like us, Share us and all that good stuff and, most of all, visit us in person! April 3, 2014 Manga! Manga! Manga!